Alan and I just checked into our hotel in Mumbai, India. It’s 2:00 A.M. Took 24 hours to get here including the layover in Frankfurt, where we unfortunately didn’t even get to eat frankfurters. 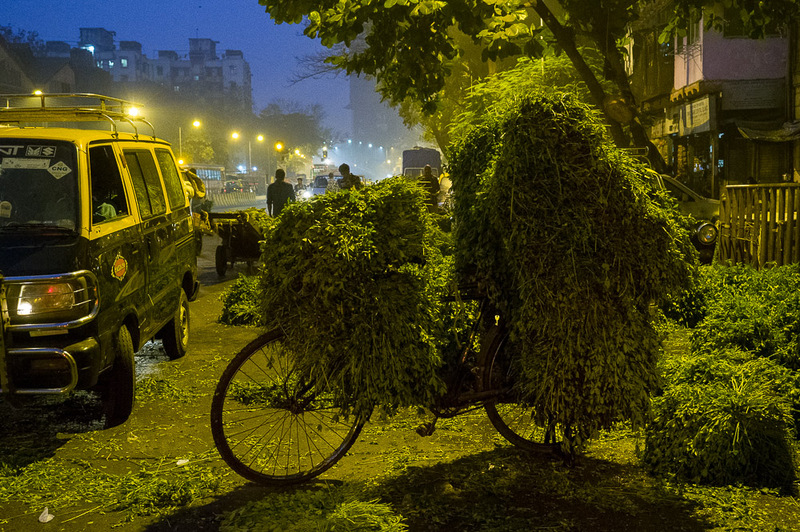 Before heading down south for the pepper harvest, we’re going to be spending a few days exploring Mumbai. I talked to Chef Troy MacLarty of Bollywood Theater, our partner in the Masalas and Chai, and he gave me a list interesting things to do. This is Alan’s first trip to India. (Alan is my good friend and a professional photographer.) I can’t wait to see and share his photos. My favorite thing to do in India is to just walk the streets. It is a place that is hard to fully describe. But that won’t stop us from trying.